Dina was born in California and raised in both Chicago and Roanoke. For as long as she can remember, Dina has loved the outdoors for all the fun that recreation offers and for all that nature can teach us. She most enjoys hiking, backpacking, canoeing, skiing on both snow and water, and rock climbing, although she is always open to trying new activities and adding to her list of outdoor interests! around the country. 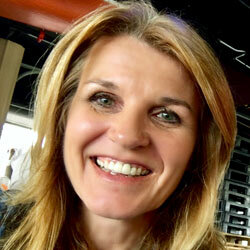 Over 25 years, she has gained experience in coaching, developing, and leading teams in business environments. Aside from recreation, Dina’s outdoor background and skill set grew significantly as she was trained to teach wilderness survival by a former U.S. Air Force SERE (Survival Evasion Resistance Escape) instructor beginning in 2006. During her early survival training and teaching experiences, Dina realized how many parallels exist between practical survival skills in the backcountry and social or professional situations in the “front-country.” She dove deep into these connections, and she resurfaced feeling more self-aware, more confident and courageous in the outdoors, and more motivated than ever to lead outdoor experiences and share the lessons they offer with others. an incredible combination of skills and positivity that are a result of her corporate coaching experience, her love for outdoor recreation, and over a decade of high-quality survival training. Dina’s greatest satisfaction comes from sharing her own drive for adventure and journey to empowerment with others. Her unique curriculum based on those same parallels she realized years ago has changed the lives of all of her students, who range from corporate professionals to young families, and from empty-nesters to college undergraduates. 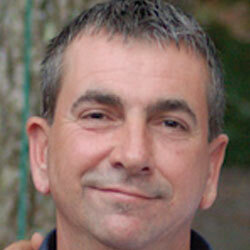 Jon Guy Owens is a native of western North Carolina and has been working in adventure recreation for just over 20 year. 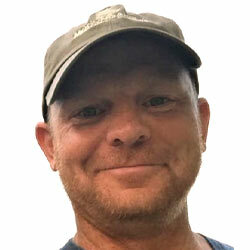 Jon Guy graduated from Western Carolina University in 1997 with a degree in Recreation Therapy, and went on to get a Master’s in Experiential and Environmental Studies at Radford University in 2000. He started his journey as a raft guide on the Nantahala River in 1994 and has since worked teaching rock climbing, canoe and kayak paddling, caving and fly fishing to name a few. For the last 15 years Jon Guy has been working as the Director of the Hollins Outdoor Program at Hollins University in Roanoke, VA.
Kayla has always called Virginia “home,” from the coast to the Appalachian Mountains, though she feels at home anywhere she can be outdoors. Kayla is a graduate of Hollins University, where she earned degrees in Environmental Studies and Sociology, and a certificate in Leadership Studies. Kayla’s childhood was filled with pets, especially horses, and her love for the outdoors comes from time spent horseback riding along mountain trails with her mom. 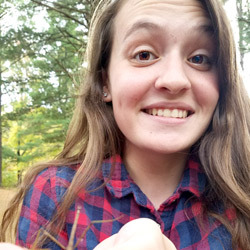 While at Hollins, Kayla participated in the Hollins Outdoor Program, which ignited her passion for hiking, backpacking, rock-climbing, caving, and canoeing – and for sharing all of these experiences with others through teaching! Kayla believes that outdoor education and recreation can be empowering for everyone. She has been most inspired by her study abroad experiences, her time with Girls Empowered by Mountain Shepherd, and her work as an environmental educator for the Chesapeake Bay Foundation. She enjoys bringing backcountry lessons into the “front-country” whenever possible, although she’d most prefer to stay put in the backcountry at all times. 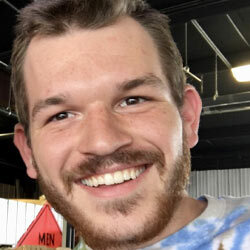 Mitch grew up in the Roanoke area, where he and his mom spent most weekends exploring the outdoors on day hikes. In 2016, he graduated from Christopher Newport University with a Bachelor’s degree in Environmental Studies, and he has been teaching and learning, indoors and out, ever since. Mitch has a passion for working with children and young people, especially in the outdoors. He gained experience in outdoor recreation and environmental education at nearby Camp Roanoke and at YMCA Camp Hayo-Went-Ha in Michigan. Mitch’s background also includes his work as an instructional assistant for uniquely challenged students in a Richmond-area high school. Mitch loves sharing the outdoors with others, and believes in preserving and caring for our natural environment so future generations may also grow to love it. This passion recently led Mitch to serve with the Southern Appalachian Wilderness Stewards (SAWS) and to begin planning a 2019 thru-hike of the Appalachian Trail. Growing up camping and spending time outdoors in Kentucky, Susan Powell realized she wanted to have a career working with people outdoors. She earned a degree in Recreation and Park Administration from Eastern Kentucky University and also a Master’s degree from the University of Georgia in Recreation and Leisure Studies. Susan is a Wilderness EMT who has worked in outdoor and adventure recreation for over 15 years in a variety of areas ranging from summer camps to residential centers for teens to campus outdoor recreation. She has over 10 years of experience facilitating groups of all ages and enjoys helping groups function as a more cohesive unit. Her favorite pastime is long-distance backpacking, with Appalachian Trail, John Muir Trail, and Long Trail thru-hikes under her belt. Her favorite quote is “The core of mans’ spirit comes from new experiences. “ – Jon Krakauer, Into the Wild. 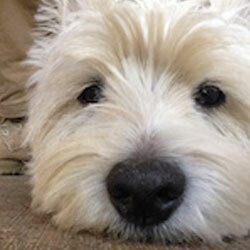 A Virginia native, Doug has lived in Richmond for nearly all his life. After graduating from Radford University with a B.S. in Physical Education, Doug returned to Richmond to work as a personal trainer. Doug spent five years helping others meet their fitness goals as their personal trainer before he shifted his career to the education field. He has been a high school P.E. teacher since 2003. Doug’s love for the outdoors began at an early age. He grew up playing in the woods behind his house, searching for crayfish in the creeks and gathering materials for improvised shelters. The time Doug spent in the woods as a child left a lasting impression on him and motivated him to participate in Radford’s Outdoor Club while in college. While in the club, Doug had the opportunity to lead backpacking trips in the McAfee Knob area and participate in rock climbing excursions near Bozoo, WV. Over the last 25 years, Doug has continued backpacking, hiking, and camping in areas like the Great Smoky Mountains, the Shenandoah Valley, and the Monongahela National Forest. These experiences have allowed him to develop many valuable skills which he gladly shares with Mountain Shepherd Adventure School. Doug believes that staying positive in any situation is always the key to success, and the best part about being outside are making friends with other people and with nature itself. Maria Vest is from southern Maryland and pursuing a Biology degree at Hollins University. During her first year, she became involved with the Hollins Outdoor Program and has since become a trip leader and member of the downriver racing team. 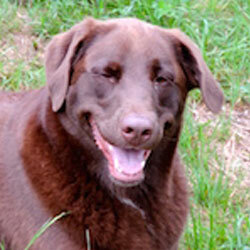 She has led many hiking trips and the wilderness orientation trip for incoming freshman students at Hollins. As an experienced rider, Maria is also a member of the equestrian program. 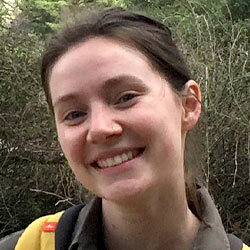 Maria earned her Wilderness First Aid certification in March 2018. Abby Parks joins Mountain Shepherd’s team from Richmond, Virginia. Abby earned a degree in English and a certificate in Outdoor Leadership from Hollins University in Roanoke. 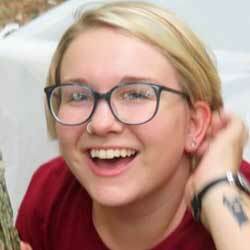 While at Hollins, Abby also worked for three years as a student trip leader for the Hollins Outdoor Program (HOP) – she organized and led local day hikes, backpacking trips, and other exciting adventures for the college’s community. Through HOP, Abby discovered her passion for canoeing and kayaking, which led her to join Hollins’ downriver racing team, too. 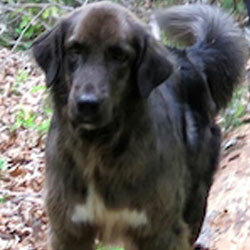 In addition to her wealth of experiences, Abby brings a fantastic Positive Mental Attitude to Mountain Shepherd. She is passionate about educating others and sharing the outdoors with them, while learning all she can along the way. Kate brings to Mountain Shepherd her passion for sharing knowledge and skills with others. She is a graduate of Hollins University with a degree in Biology and Environmental Science, and a certificate in Outdoor Leadership. 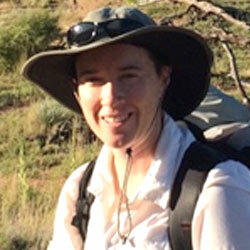 Kate has spent recent years cultivating her deep appreciation for the natural world through scientific research. 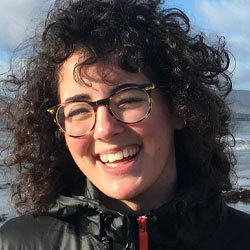 She is fascinated by and interested in teach others about all forms of life, from hundred-year-old trees to microbial cultures in a petri dish. While at Hollins, Kate also acquired both leadership and technical outdoor skills as a trip leader for the Hollins Outdoor Program and captain of the school’s paddling team. She has led many outdoor excursions that range from day hikes to multi-day backpacking trips, and from flat-water canoeing to whitewater kayaking. Kate enjoys sharing her outdoor leadership skills with others, and her passion for teaching motivates her to continue pursuing scientific and outdoor-related work. 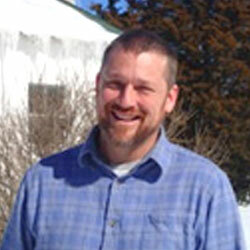 Mike is an avid outdoorsman, Board Certified Psychiatric Pharmacist with over 16 years of experience in healthcare. He earned his Doctor of Pharmacy degree in 1996 from Campbell University School of Pharmacy. He serves as a preceptor for several pharmacy schools including VCU College of Pharmacy, Appalachian College of Pharmacy, Shenandoah University School of Pharmacy and University of Florida School of Pharmacy. 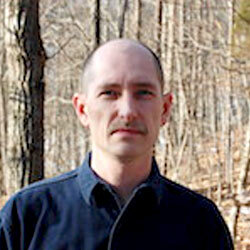 Keith is an avid outdoorsman with many years of wild land fire fighting experience. He is a member of the Craig County Search and Rescue, Craig County Rescue Station 9, Craig County Fire Station 5, Craig County Wild Land Fire Team, Craig County Board of Supervisors, Craig County Tap Board Member, National Forest Medical AD. National Forest Red Card: FFT2,6Emt6E,6S212 Saw Operator. Hi my name is Scout. I’m really the one in charge around here, but Reggie doesn’t want anyone to know. So let’s just keep that our little secret, okay? I love people and enjoy helping out with the classes. 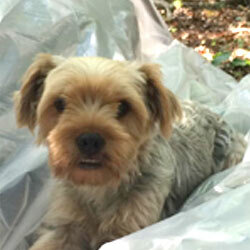 If you need someone to steal…I mean, relocate your kindling to another location, I’m the dog for the job! Looking forward to seeing you soon! Hey there, I’m Holly! You can’t miss me, because I won’t let you. :) I’m actually pretty talented and have advanced color-changing technology. I can change from white to brown at the drop of a mud puddle! And I somehow manage to change back without a trip to the dog wash. Bet you can’t do that! Well, now that Scout and Holly have finished tooting their own horns, let me introduce myself. I’m Levi…at your service! And while my four-footed sisters have bragged about their very non-useful talents, I will humbly share my very useful one. I am the best darn bug-digger-upper you’ll ever find! If you’re hungry and need some grub… you know, the big, fat, white variety that can be found under rocks and stumps…I’m the one you can count on so you can fill your belly full! What, Scout? What do you mean I’m going to scare away the students with that kind of talk? Hi I’m Riley, the newest addition to the family. I can run fast and jump high so you may think I’m part reindeer and part rabbit. When you come to Mountain Shepherd to visit me, I’ll be sure to spend some time in your lap and I may jump in your car because I’m always ready for a ride!